Each week a member of staff at Etsy HQ selects their favourite new products from all of the amazing new stuff available for sale on the Etsy site. 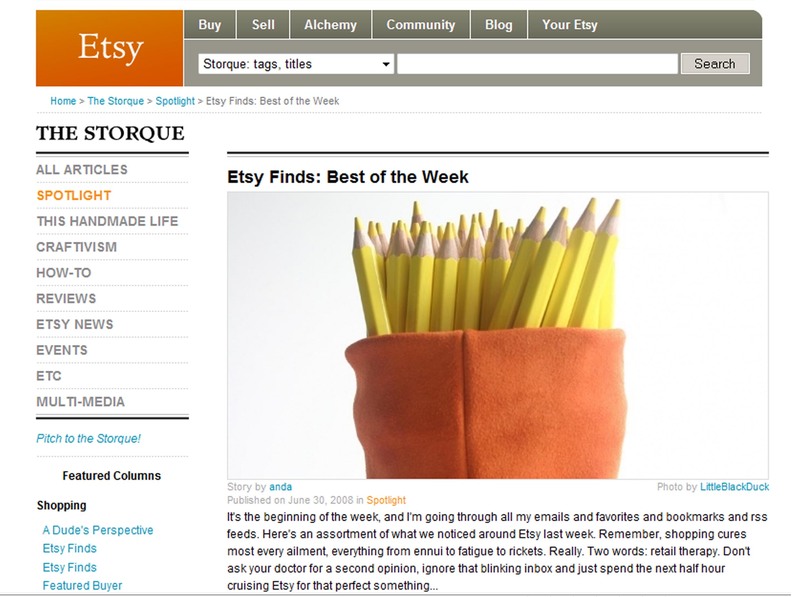 This week Anda from the Marketing Department at Etsy has been keen enough to spot my newly listed Orange Suede Storage Bag and kind enough to list it in her picks of the week. Thanks Anda!